The woman on the right, that is, as they wait to cross at Devonshire and Crown Streets. 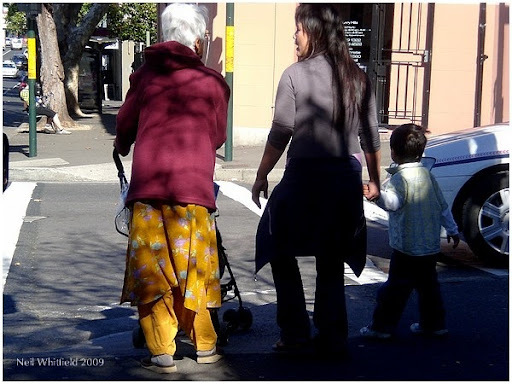 This entry was posted in multicultural Sydney, people, street shots, Surry Hills, winter. Bookmark the permalink. You've captured something here. The colors on the gal to the left. I'm intrigued by street candids. I'm sure she'd be flattered to be called a "gal". I was also intrigued by her; she is wearing her national costume too.